From the quiet leafy resort of St. Annes , through the golden bustling resort of Blackpool, to the fishing port of Fleetwood. 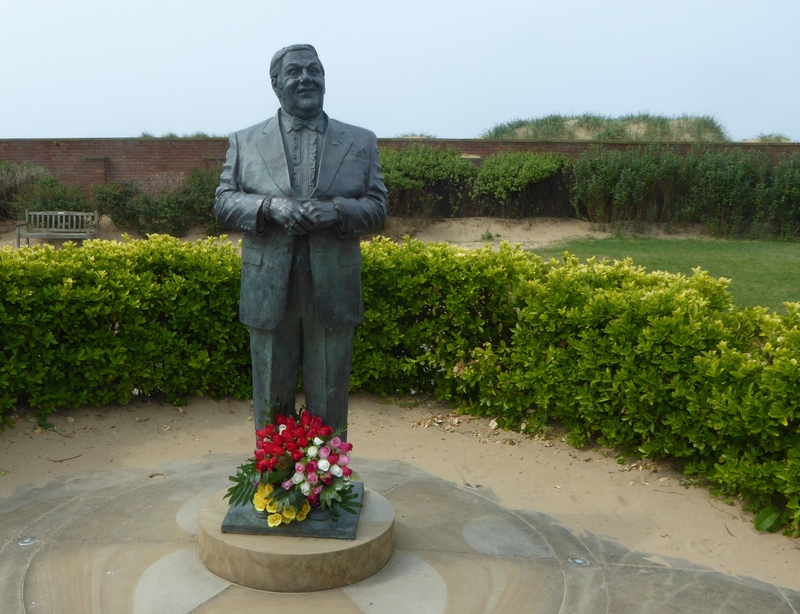 Before I set off from the pier at St. Annes I pay my respects to the great comedian, Les Dawson who was born here. They have erected a statue in his memory in the garden next to the pier.